The Philippines’ Department of Science and Technology hosted a week-long seminar on the safe manufacturing and regulation of firecrackers and pyrotechnics which was attended by local government officials, fire prevention reps, manufacturers and other industry stakeholders. 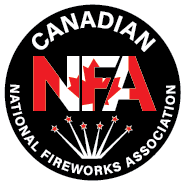 CNFA member, Bill Raynault, was invited to speak at the seminar on safety in Canadian fireworks regulations. This year, CNFA’s annual conference will be bigger and better and held at a different location and time of year. Please send along any suggestions regarding the types of information sessions or workshops you would like to see available.